The department of Forensic Medicine, the University of Tokyo is the oldest department of forensic medicine in Japan. 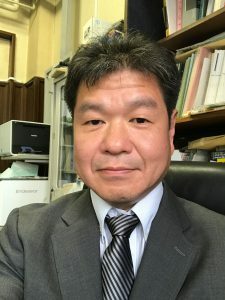 Dr. Kuniyoshi Katayama, who established the department, classified applied medicine as two types of medicine, individual medicine (currently, clinical medicine) and national medicine (currently, social medicine), and forensic medicine was defined as national medicine. Forensic medicine is not a medicine to diagnose and treat individual patients but a medicine to think about protecting the rights and safety of the entire living people. Since its opening, various seniors’ efforts have made a variety of spectacular research, such as blood type research and DNA type research. We believe that our mission is to research further and educate students without losing the true aim of forensic medicine and to cultivate human resources who will be responsible for the future of forensic medicine. I hope this website will help everyone understand forensic medicine.